A new technology known as Radiofrequency Ablation (RFA) has enabled a 38-year-old male patient with extensive varicose veins in right limbs leave the hospital on the same day of the procedure and start walking comfortably within 12 hours. The patient, Indian national Mr. Ubayathul Rahman was presented to Thumbay Hospital Day Care – Rolla, Sharjah with pain, skin color change and dilated veins in right lower limb. He was also having pain and heaviness in the right lower limb due to his medical condition. He was examined by Dr. Ashish Sam Enos, Specialist General Surgeon. Investigations with Doppler revealed a significant leakage from the venous valve, in the right thigh region. In normal cases, such a case could be rectified only by a corrective procedure by the traditional open operative technique. 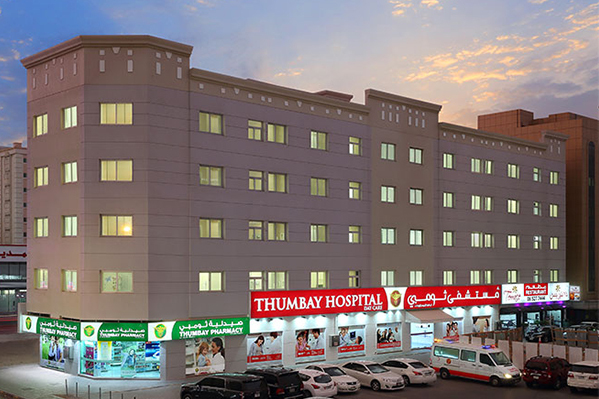 In Thumbay Hospital Day Care – Rolla, Sharjah, the availability of the new minimally invasive Radio Frequency Ablation (RFA) ruled out open surgery. The team led by Dr. Ashish Sam Enos performed the RFA procedure under anesthesia and sedation. The patient was discharged on the same day. The procedure involved using a catheter that’s heated up by radiofrequency energy to heat the vein and seal it off. Mr. Ubayathul Rahman was able to walk comfortably within 12 hours. Speaking about the RFA procedure, Dr. Ashish Sam Enos said that the procedure involved very little pain and that it was absolutely patient friendly. “Earlier, the only proper treatment for serious varicose veins was “stripping”, wherein an incision was made on the patient’s thigh, and the complete vein removed. This use to be painful and required a few days of hospitalization,” said Dr. Ashish Sam Enos, adding, “RFA causes minimal discomfort after the procedure as well as fewer complications. It does not involve any cutting into the skin. Another major advantage is that patients benefit from less waiting times compared to surgeries.” He said that the success rate of the procedure was very high worldwide.